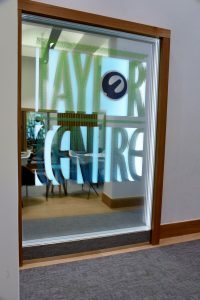 The Royal Academy of Engineering has opened the new Taylor Centre, a space for the Academy’s Enterprise Hub, which supports entrepreneurs, and which is named after one of Britain’s most successful engineers, Dr John C Taylor OBE. Dr Taylor, who is a Fellow of the Royal Academy of Engineering (FREng) made his name creating small electrical components that are vital to many pieces of technology we couldn’t live without. Early electric kettles would not turn off when the water was boiling, meaning that they needed constant supervision and were in danger of melting and starting fires if they were not properly attended. Dr Taylor created the solution to this problem: a small, bimetallic thermostat which would break the kettle’s circuit when the water started to boil. Having continued to innovate throughout his life, Dr Taylor now has over 400 patents to his name. Dr John C Taylor said, “The UK has a great history of invention and enterprise, and our reputation as a nation of problem-solvers and innovators continues to this day. “It is vitally important that, in a globalised world, we support the next generation of innovators, who will support their communities by creating jobs, financial growth and opportunities for others. The Taylor Centre was made possible by a generous donation by Dr Taylor, and will help transform the UK’s best and brightest engineering technology entrepreneurs into the business leaders of tomorrow by providing a brand new place to network, work, and develop their skills. 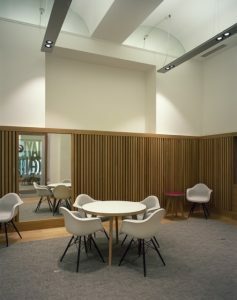 The Taylor Centre is the physical space for the Academy’s Enterprise Hub, which provides funding, mentoring and PR support to entrepreneurs turning their engineering innovations into viable businesses. 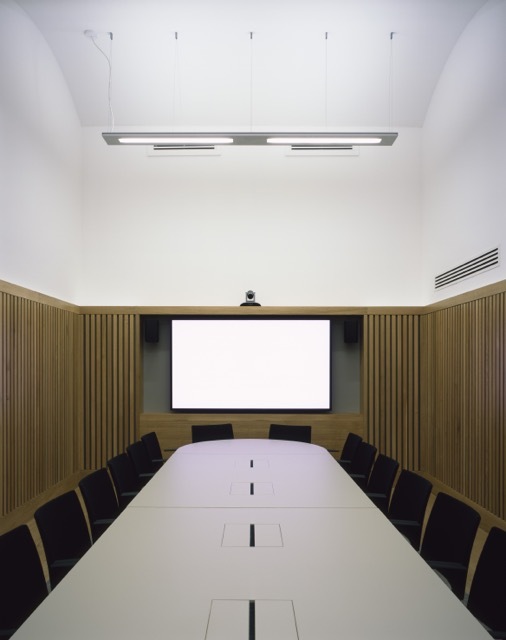 The Centre brings excellence, creativity and innovation together under one roof. The Enterprise Hub offers unique one-on-one mentoring with Academy Fellows, who have a wealth of engineering and business experience. Since its inception in 2013, the Hub has helped 61 Members get their businesses off the ground (generating 150 jobs in the process) and its Members have raised over £30million total in follow-on funding and investment for their technologies. 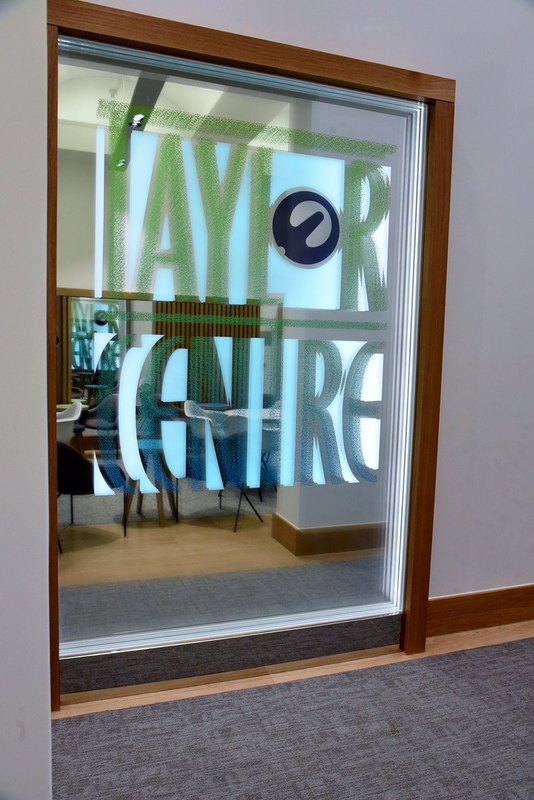 The Taylor Centre was made possible by a generous donation from distinguished inventor and entrepreneur Dr John C Taylor OBE FREng, as well as the support of the late Geoffrey Argent FREng and the Wolfson Foundation, and the kind donation of equipment for the new space from Toshiba UK. Dr John C Taylor OBE was born in Buxton in Derbyshire in 1936. Having spent six years living in Canada during his childhood, he returned home towards the end of the Second World War and attended King William’s College on the Isle of Man before studying Natural Sciences at Cambridge University. After finishing his education he took a job at Otter Controls, founded by his father, and began working in bi-metal. His work with these controls led to Dr Taylor designing the thermostat systems that are used in almost two billion kettles and small household appliances. Dr Taylor left Otter Controls to build his own company, Strix, which holds four Queen’s Awards. Three are for Export and one is for Innovation, granted for his 360-degree cordless kettle connector, which is used every day by almost every household and workplace in the UK and many throughout the world. As well as being one of the world’s most prolific inventors, Dr Taylor has also conducted a lot of research into the subject of horology. He is one of the world’s leading experts in the work of John Harrison, an early pioneer of timekeeping and sea clocks. This led him to design and help build the Corpus Chronophage, a three metre-high clock that is displayed in an exterior wall of the Corpus Christi College building at Cambridge University. In his spare time, Dr Taylor also has a keen interest in aviation, having been a private pilot for over sixty years. Taught by his father as a child, he has so far amassed over 5,000 hours of flying time. Dr John C Taylor is on Twitter at @DrJCTOBE. The Royal Academy of Engineering’s Enterprise Hub is a national resource for the UK’s most promising engineering entrepreneurs. The Hub forms part of the Academy’s commitment to stimulate excellence and promote creativity and innovation in engineering. The Hub does this by making awards to exemplars of excellence and innovation in engineering who will be the founders and leaders of tomorrow’s high-tech companies. The awards include provision of money-can’t-buy bespoke support and one-to-one mentoring from its Fellowship, which comprises many of the country’s most successful engineers from across academia and industry, including prominent entrepreneurs and business leaders such as Mike Lynch OBE FREng, Sir Robin Saxby FREng, Anne Glover CBE HonFREng and Ian Shott CBE FREng.